Coffee beans are grown is three major regions of the world: Central and South America; Africa and the Middle-East; and South East Asia, particularly the islands of Indonesia. Beans from the Americas are usually characterized by mild acidity with tobacco flavors, or even a hint of white chocolate. Beans from Africa are wine-like and very chocolatey, while Indonesian coffee beans are usually very earthy-tasting. There are two varieties of coffee plant: "Arabica", which is thought to be indigenous to Ethiopia and was first cultivated on the Arabian Peninsula. The other variety of coffee is "Robusta" which contains up to 50% more caffeine than Arabica, and which is a far more hardy plant, resulting in it's much wider dispersion around the globe. Robusta, however, is considered an inferior coffee since it tends to have less flavor, and exhibits bitterness. Nonetheless, because it is more widely distributed and a more hardy plant, it is less expensive than Arabica and used widely in coffee blends by the large industrial coffee blenders and instant coffee makers. Good quality Robusta beans are actually what provide the crema so essential to espresso coffee, so are typically found in espresso coffee blends, especially dark Italian espresso roasts. Arabica coffee beans were traditionally called after the ports from which they were exported, hence "Mocha" which was shipped out of Yemen, and "Java", which was shipped out of Indonesia. The coffee beans from each of these regions exhibit characteristics that can be grouped as follows: Beans with light-body, high acidity and sweet flavor come from Central and South America. Coffee beans that exhibit medium body and acidity hail from Africa. And finally, beans from South East Asia and the Pacific regions are characterized by dark body, low acidity, and an earthy flavor. You no doubt will see coffee beans sometimes being described as "100% Colombian". This branding falls under the control of the Colombian Coffee Federation founded in 1927 to promote the growing and marketing of coffee from Colombia under the "Juan Valdez" brand. "Body" in reference to coffee refers to its feel in the mouth. The flavor characteristics of coffee can be referred to with such terms as "earthy", "sweet", "bitter", "smoky", "cardboard-like", "citrus-like". 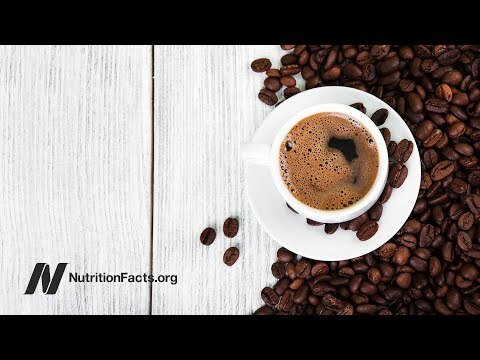 Coffee is naturally acidic. The pH of black coffee is around 5. (A pH less than 7 is acidic.) Reference is often made to the amount of acidity noticeable in a particular coffee bean. my favorite is definitely Indonesian coffee it has such a distinct flavor and aroma, only problem is the circumstances in which it is grown and how the farmers are rewarded. Thanks for the details about the coffee beans. Most of the people do not know the facts about beans. Yamen is famous for Mocha and Indonesia is for Java.Interesting facts in the post.